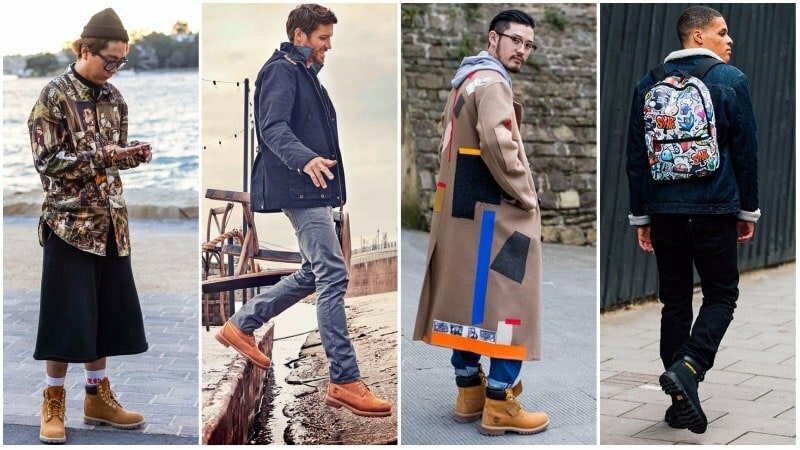 When it comes to must-have footwear for men, boots are at the top of the list. Not only are these shoes practical and comfortable, but they’re also versatile and stylish. A pair of boots can take you from work to the weekend with ease. 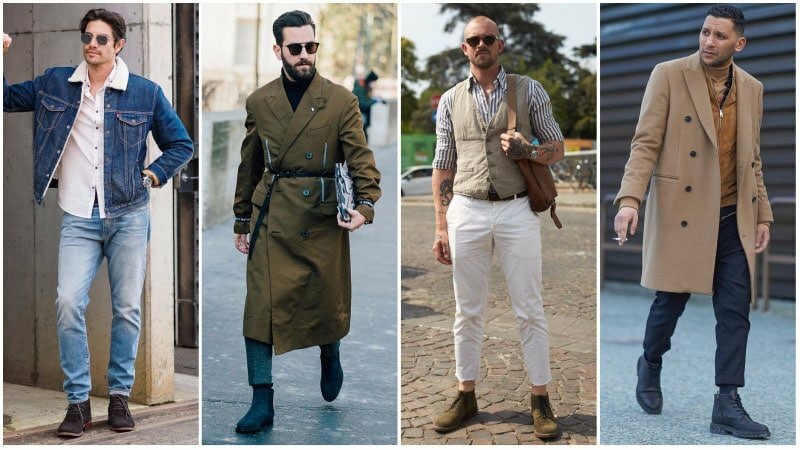 Many can even match smart casual and semi-formal ensembles, making them a valuable wardrobe addition. 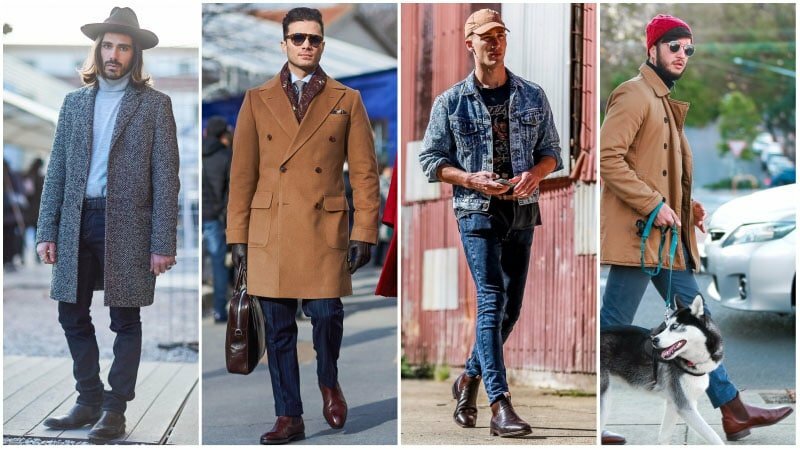 That said, not all boots suit all occasions, so it’s important to familiarise yourself with the different types and the best ways to style them. 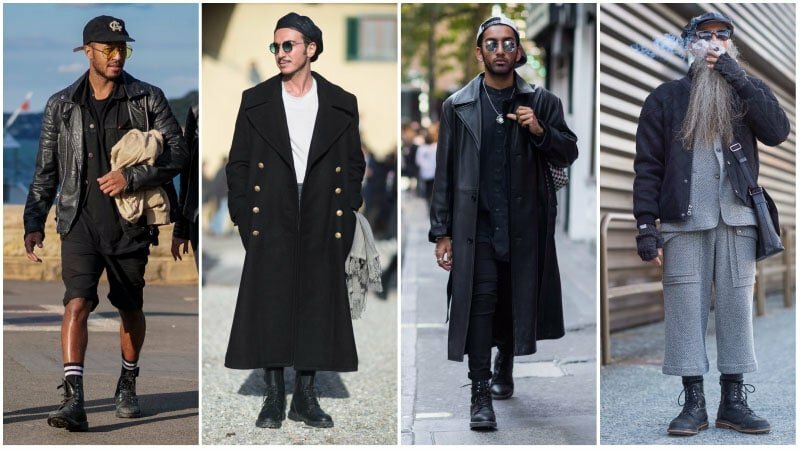 Thankfully, we’re here to show you exactly how to wear boots for a sleek and fashionable look. 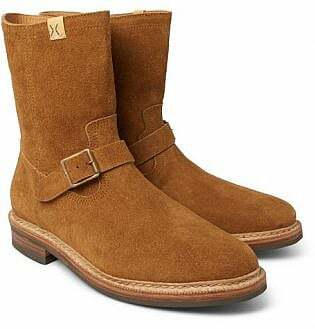 Ankle boots are one of the most versatile types of boots around. 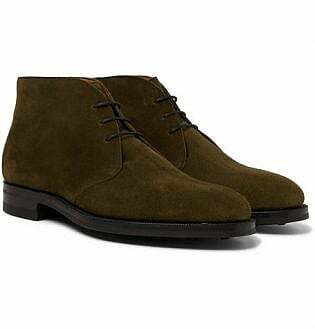 Reaching to or just above the ankle, these shoes are simple to wear and suit a range of outfits, including casual and smart casual looks. 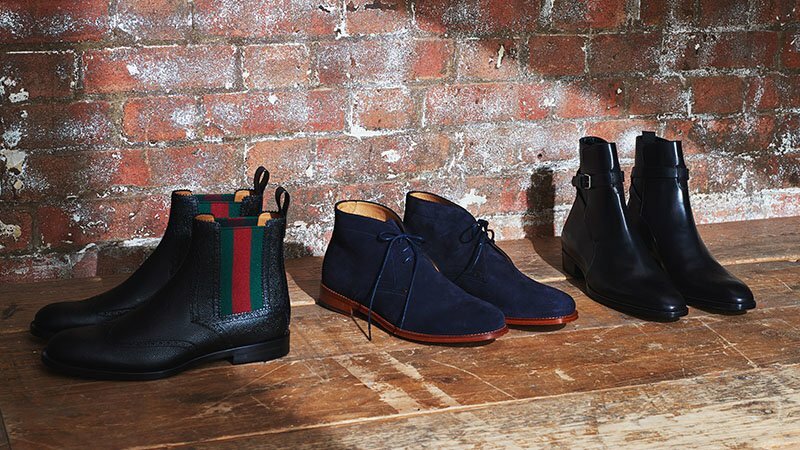 To rock a pair of ankle boots, you must first select your style. 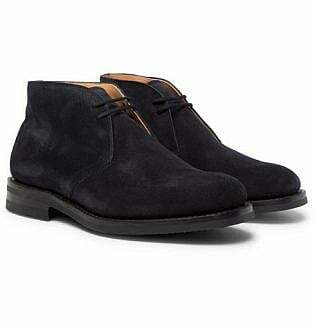 While Chelsea ankle boots are a sleek and simple option, chukkas and other lace-up styles can also appear stylish. 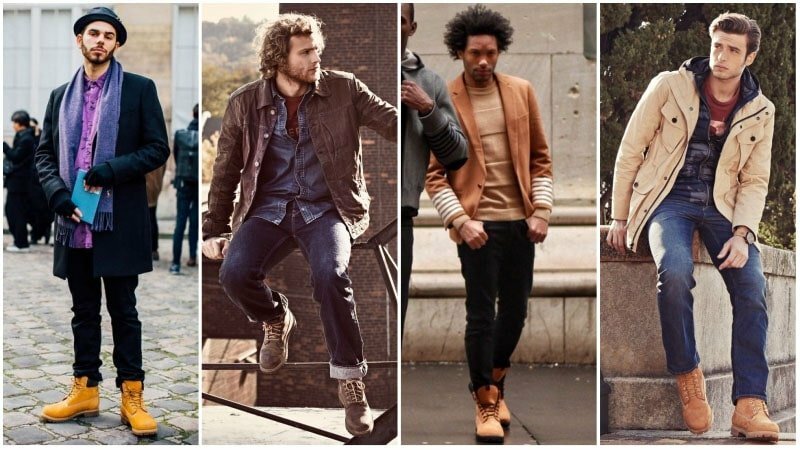 Once you’ve chosen your boots, pair them with jeans or trousers and a button-up shirt or sweater. Feeling tough? 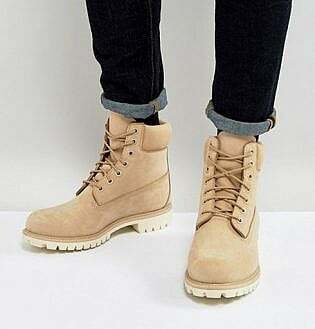 Why not add a pair of combat boots to your outfit? 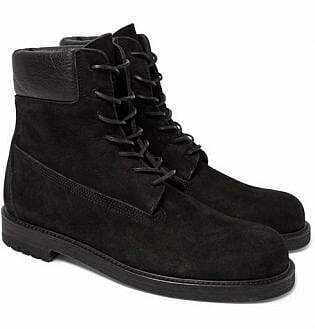 These classic boots, which appear similar to those worn by soldiers, instantly add a rugged touch to any ensemble. 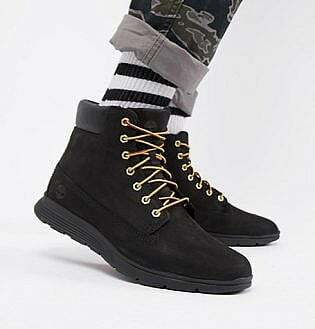 Perfect for casual outfits and weekend outings, combat boots look best when teamed with other edgy designs. To nail the look, stick to a dark colour palette and opt for heavy-duty fabrics, such as denim and leather. 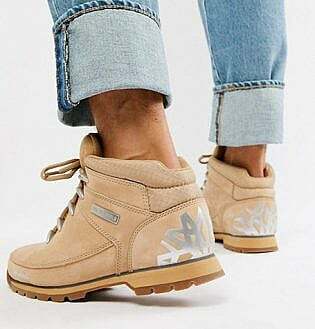 These days, work boots are no longer just for the construction site. 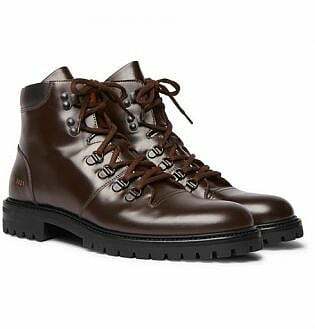 Today, these sturdy and practical boots are also worn with casual outfits. 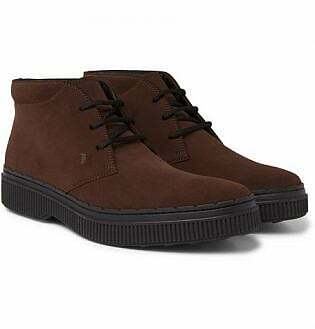 Most commonly designed in a light brown colour, these shoes are functional and uniquely fashionable. Due to their relaxed appearance, they tend to look best with jeans. 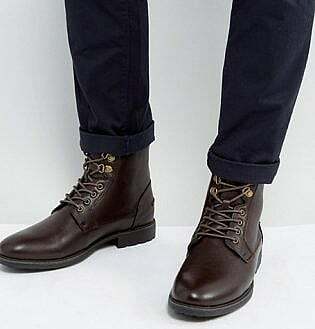 A pair of slim-fit, dark blue jeans paired with a t-shirt and brown work boots is a simple outfit that’ll look great every time. 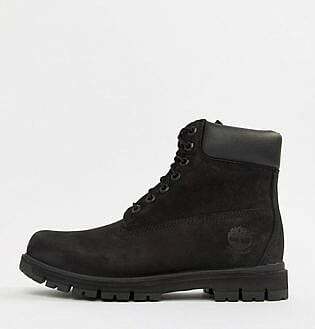 While there are many excellent men’s boot brands around, Timberland is undoubtedly one of the best. 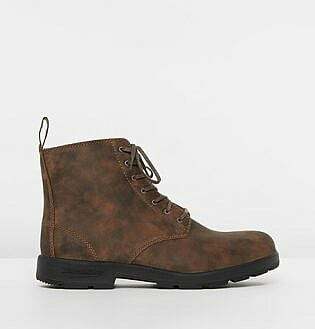 This beloved boot label makes high-quality and stylish shoes that are perfect for fashionable gents. 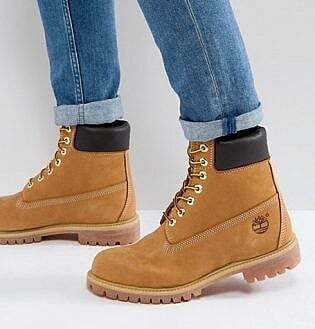 Although Timberland boots appear great with casual ensembles, they can also be worn for a smart casual look. 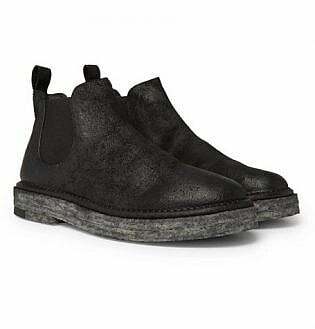 To do so, just partner a pair of boots with dark jeans and a simple blazer. To show off your shoes, don’t forget to pinroll or cuff your pants. 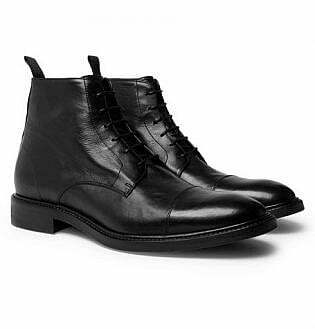 Whether you own a motorcycle or not, a pair of biker boots can make an excellent addition to your wardrobe. 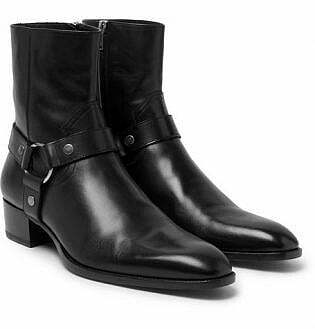 Typically featuring a low heel and buckle details, biker boots appear tough and edgy. 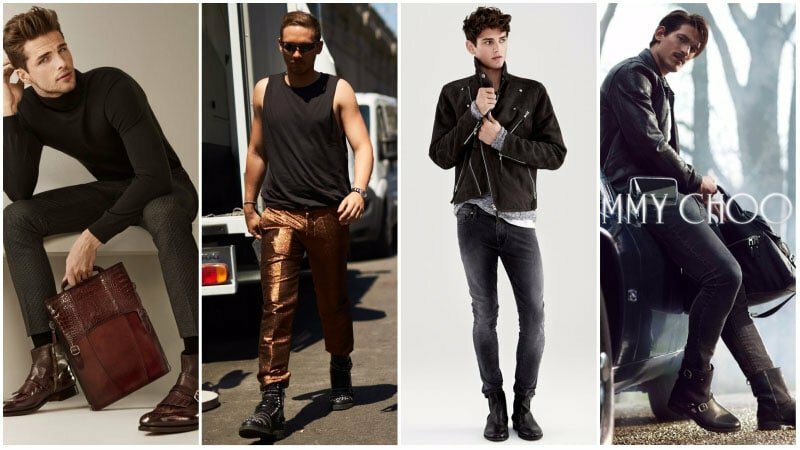 For the perfect biker boot outfit, try partnering a pair with dark skinny jeans and a neutral t-shirt. Then, complete your biker look with a black leather jacket. It’s the perfect outfit for the weekend or a night out at the bar. 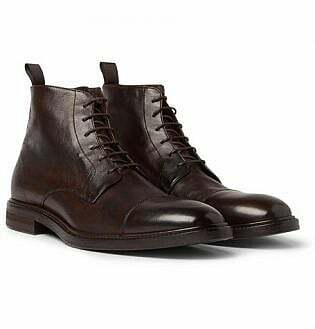 For a comfortable fit and smart appearance, you can’t go past a pair of traditional lace-up boots. 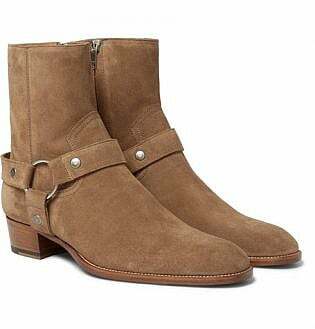 Whether worn in black or brown, leather or suede, these stylish boots look great with a range of outfits. Thanks to their slim, ankle-hugging appearance, lace-up boots look fantastic with sophisticated styles. Try partnering some with slim-leg trousers, an oxford shirt and a sweater for a dapper outfit. 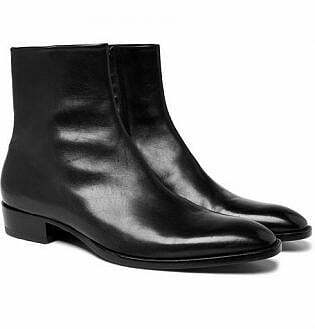 Thanks to their sleek and minimal appearance, Chelsea boots can suit both casual and more formal outfits. 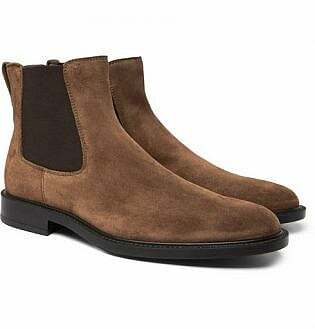 To wear Chelsea boots casually, try choosing a brown or suede pair. Then, complete your look with jeans, a t-shirt or roll-neck sweater, and a jacket. 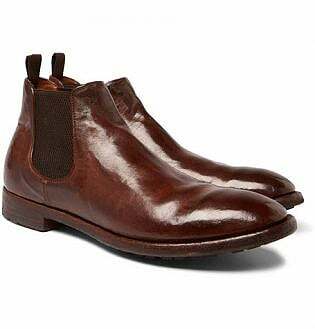 Alternatively, for a smart style, select a pair of black or burgundy leather Chelsea boots and wear them with a suit. 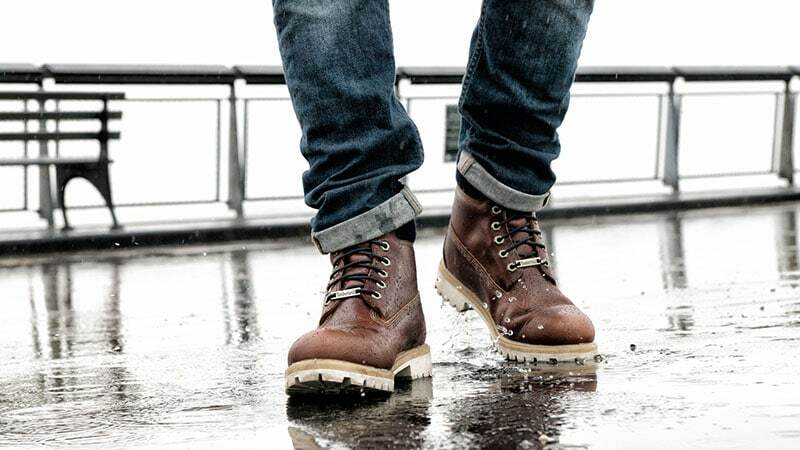 To ensure you stay comfortable when wearing your boots, select a pair that fits your feet right. When trying on boots, your feet should feel snug and supported. That said, you should still be able to move your feet and ankles without any trouble or pain. Also, to ensure the boots aren’t too small, make sure that you can fit one finger behind your heel and that your toes aren’t pressed against the ends. 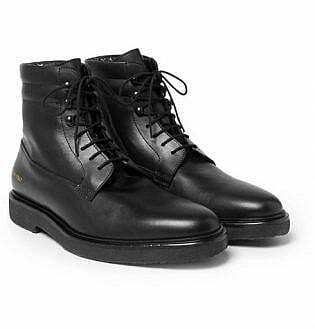 While boots tend to be one of the most durable types of shoes, they can often get dirty. As such, it’s important to know how to clean your boots. 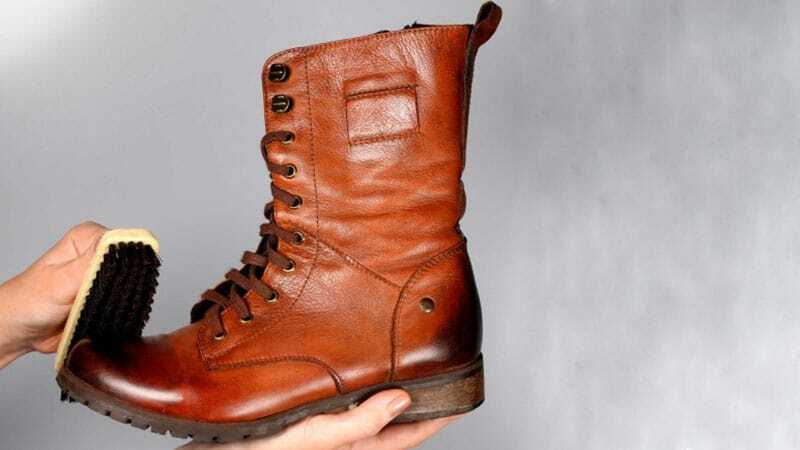 To clean leather boots, start by soaking the laces in warm water mixed with laundry detergent. Then, use a damp cloth to wipe off any loose dirt from the shoes. Afterwards, dip a scrubbing brush in the water and gently clean off marks and scuffs. Wipe shoes over with a clean damp cloth and remove laces from the bowl. Leave both the boots and laces to dry naturally. 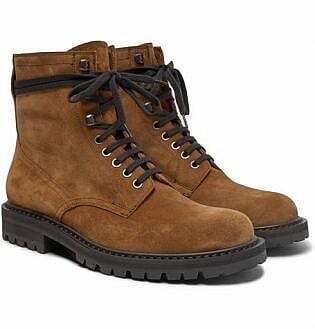 To clean suede boots, remove the laces and soak a soft bristle brush in a small amount of suede cleaner. Then, while supporting the inside of the boot with one hand, brush the outside of the boot in little circles. Once complete, do the same on the other shoe and allow them both to dry for 24 hours. 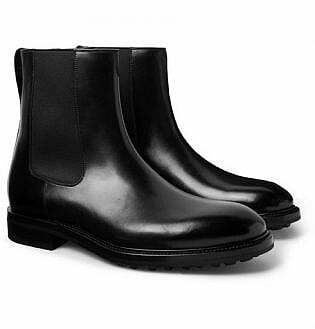 Once dry, use mink oil and a suede brush to re-soften your boots. To ensure you boots last a long time, don’t forget to store them correctly. After cleaning and allowing them to dry, be sure to stuff them with either paper or shoe trees. Doing so will help the shoe to hold its shape when not in use. Always store your boots upright for the best results. 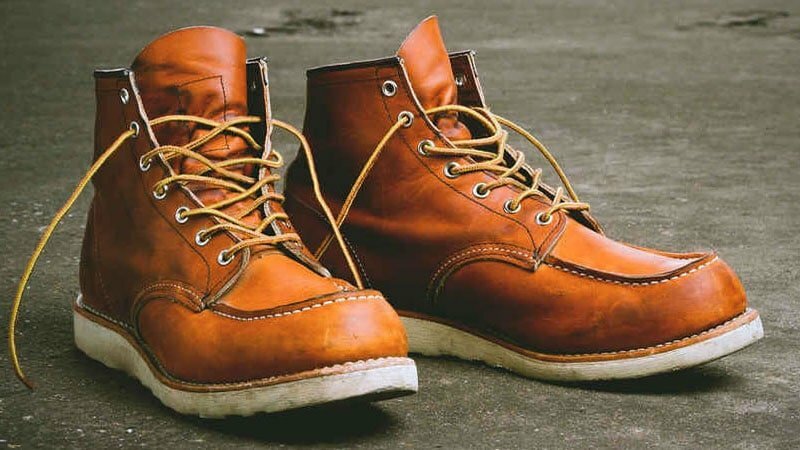 When choosing a pair of boots, there are several factors to consider. Not only do your new shoes need to look good, but they also need to fit well, feel comfortable, and be durable. As such, buying from a reputable brand, which consistently ticks all of these boxes, is a smart decision. 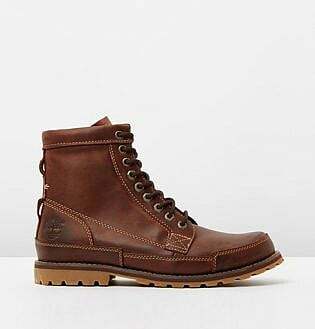 Trusted labels, such as Grenson, Timberland, Clarks, and Church’s, create some of the best boots for men and will never let you down. 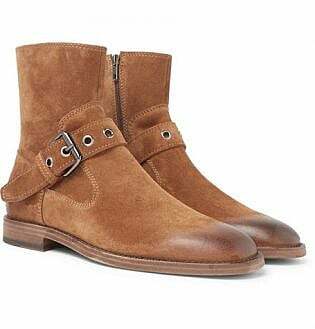 Choose the right style of boots to suit your desired look. 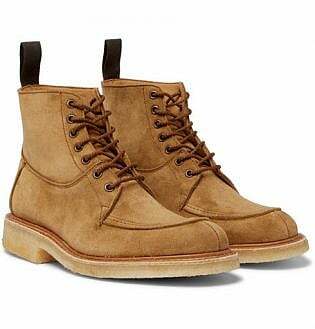 For a casual look, pair relaxed boots, such as work boots, with jeans and a t-shirt. 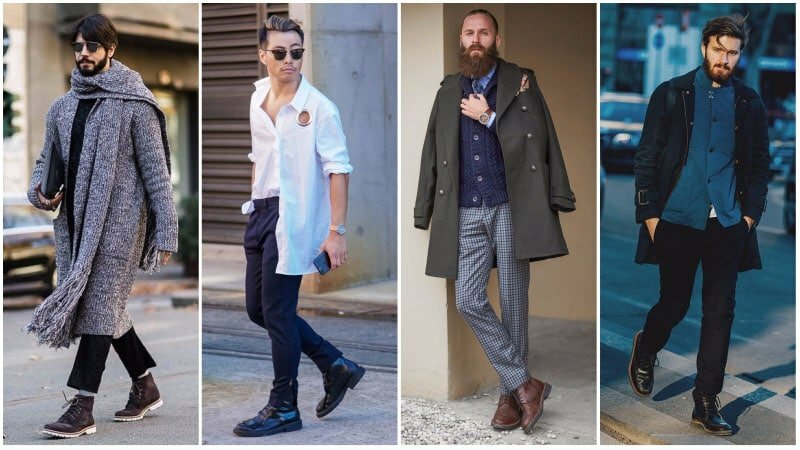 To create a smart outfit, select sophisticated boots, such as Chelsea boots, and partner them with trousers, a button-up shirt and a blazer. Achieve a tough and rugged appearance with boots by choosing biker or combat boots and partnering them with dark jeans and a leather jacket. 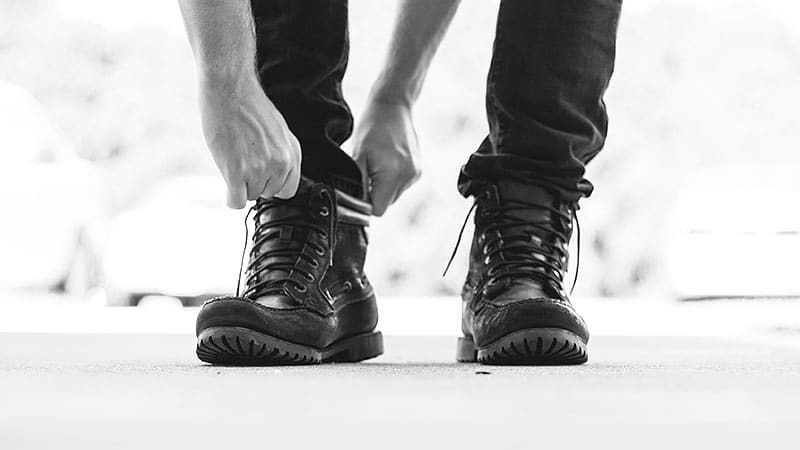 Ensure you keep your boots clean to avoid appearing unkempt or messy.